TPU came across photos of a reference based GeForce GTX 670 graphics card from Colorful. The photo reveals the GTX 670 has a shorter than usual PCB. The PCB (rear) picture reveals quite a few things. To begin with, the VRM area is moved to the front portion of the PCB, similar to AMD's HD 7800 series. A great deal of compacting has been done, the eight GDDR5 memory chips are spread across both sides of the PCB (four on each side), probably to manage heat and wiring better. The portion of the cooler that's sticking out of the card needn't pack metal parts (heatsinks), there's just a chamber for the fan. 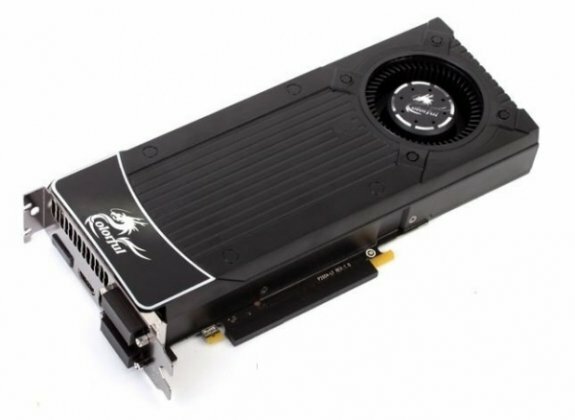 NVIDIA's GeForce GTX 670 is expected to launch later this month.